What are Angular Measuring Instruments? 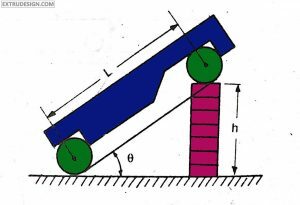 Angle is a measurement that we can measure between the two line which meets at one point. Angular measurements are playing a very crucial role in measurements. The best example is that the Ships and the Aeroplanes will navigate with the help of The precise angular directions of the landing area. Let’s discuss Angular Measuring Instruments. As we said above the angle is defined as the opening between the two line when they coincide at one point. The basic unit for the Angular measurement is Degree (°). If a circle is divided into 360 equal parts by a line passing thru the centre. then each part can be called as a Degree (°). Each degree (°) divided into 60 Minutes (‘). Each minute (‘) divided into 60 Seconds(“). Another unit for the angle is Radian. Radian defined as the angle at the centre of an arc whose length is equal to the radius of the arc(Circle). For Angular measurements, there are a wide variety of devices available in metrology. But the measuring device can be preferred based on the type of the component to be measured, and the accuracy and precession required in the measurements. The accuracy of the device is the least count of each device. Protractors are the populated instruments used for the angular measurements. A simple Protractor is a basic device for angular measurements. At best, A simple protractor can provide the least count of one degree (1°) for smaller protractor and half a degree(0.5°) for large protractors. There are a wide variety of protractors out of them vernier bevel protractor is most populated one. An ordinary Vernier bevel protractor can read up to 2.5 minutes (0.04°) where optical protractor can read up to 2 minutes (0.03°). The above are the different angular measuring Devices available. 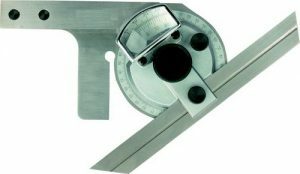 Optical bevel Protractor is the advancement of the Vernier Bevel Protractor with the additional optical magnifying device to attain more accuracy and precise measurement up to 2 minutes of the angular measurement. Actually, Vernier Bevel Protractor can measure up to 5 minutes of the angular measurement only. Vernier Bevel Protractor is often known as the Universal Bevel Protractor. It is one of the angular measuring instrument used for close tolerances within 5 minutes. /**We will Briefly explain the remaining angular measuring instruments individually in Future articles. Comment below letting us know your thoughts.